Business Mentoring & Mindset Coaching. I decided to investigate coaching after a friend had suggested it might be what I need in order to support a plan that was in the making; starting a new business. On my side, I had the plan, the passion, the conviction, and the experience of running a business in a previous lifetime. Against me, I had ‘the fear’. Actually, I had two types of fear. The first type was welcome and necessary – the anticipation, the commitment, the finality of leaving a job. The pros, the cons, the ‘will this actually work’ feelings which are tempered with solid planning and resourcing. But I also had a large dose of the second, destructive type of fear. Self-doubt. A loss of confidence. My first question to Suzanne: ‘What is the difference between counselling and coaching?’ Suzanne: ‘There is an overlap of course – but counselling will focus on yesterday whereas life coaching will focus on tomorrow’. Sign me up! I needed change. I was under-stimulated in the work I had been doing for many years and felt like I needed a new, bigger challenge… I just didn’t know how to do it. I wasn’t sure which direction to take my business and had very little idea of how to make it work better for me. I didn’t know what I didn’t know! Suzanne asked many insightful questions that helped me get to the crux of the matter, and helped my rather ‘magpie’ mind stick to one thing at a time. I feel like I’m in really safe hands when I’m working with Suzanne and really trust her judgement: she is clever and sees through situations quickly and clearly. When she revealed her analysis of my situation, it was like having a light switch on, so I was no longer scrabbling around in the dark. Suzanne listens so well and remembers everything (without writing it down! ); she understands how I feel and how I like to work, offering just the right amount of challenge every time we meet. Her support has been invaluable – helping me to recognise and do what I want. I love the way she offers choices so that I keep on task – which seems to me like she has ‘read’ my situation accurately and knows how to help me get the best from myself. I feel like my business has grown exponentially since working with Suzanne. For me, it wasn’t so much a lack of confidence as a lack of know-how, and Suzanne has played the ideal coach and mentor role for me – offering practical advice and information at one point, then perceptive questions and challenges in the next. I love the mix of ideas she brings, always solution-focused and enthusiastic. Nothing is a bother to her and I really value her opinion. Family and friends have noticed the significant changes in me and my business know-how since working with Suzanne, too. It feels like I’m not playing at having a small business anymore: I’m here to stay and grow and learn. I had a big decision to make about my life – whether to stay with my employer when they move location, or stay local and look for a new challenge. I’ve always found Suzanne’s Facebook page really helpful – full of advice and tips that resonated with me, so I turned to her for some more structured support in making this decision. I look forward to working with Suzanne again as I move forward. I worked with Suzanne on building my confidence and assertiveness. Everybody thought I was confident but they didn’t know what was going on inside where I was quietly simmering! I was unable to say what I really thought and was cross with myself for not handling things differently. I felt like a doormat! The change has been amazing. I am now more aware of my thinking, my body language and behaviour. Now I put myself across confidently with my customers, my husband and even my daughter’s teacher! Suzanne was recommended to me as I had been looking for a coach to work with for the past number of months. From the beginning, I found Suzanne to be extremely personable and felt we made a connection straight away. I was slightly nervous about carrying our sessions out through Skype but after a few minutes into our session, I forgot that we weren’t talking in person! Suzanne has been instrumental in helping me grow my business, drill down on specific goals and asking those all important questions!! As a small business owner, she has got to know what I do and what makes me tick! I would highly recommend Suzanne to any business owner or female entrepreneurs who wants to grow their business and work with a like-minded individual that is passionate about what she does!! Suzanne was great at getting me to articulate what drives me and made me acknowledge and see my strengths in a new light. Her questions are unassuming and yet perceptive and she has helped me identify several scenarios I would not have considered otherwise. She has also given me a toolkit that I still use as a regular checkpoint to assess how I am doing and where I need to focus my attention. From the moment we met, I knew that working with Suzanne was going to be an amazing experience. Suzanne, as a leadership and cultural change consultant and hit the ground running immediately. She brings a creative and pragmatic approach to all situations, balancing the needs of the business whilst asking the oh so tough questions. She is both brave, sensitive and challenging and always prepared to talk about the ‘elephant in the room’. Suzanne pushed my thinking and confidence in my own leadership style and has been a long term mentor and coach. In times of challenge both personal and professional, not only do I rely on Suzanne’s counsel, I benefit from her wisdom and life experience. I am sure that Suzanne will be an integral part of many other organisations and leaders success in the future. I highly recommend Suzanne in the areas of coaching and consulting at all levels. Working with Suzanne allowed me to restructure my thought processes resulting in my ability to ‘see the wood for the trees’. Through guided questioning she allowed me to reach my own conclusions, which gave me a huge amount of confidence with regards the steps I needed to take. Suzanne’s non-judgemental style meant I felt comfortable sharing private thoughts and feelings and this level of trust between the two of us meant that I felt fully supported throughout the process. It wasn’t all plain sailing though, Suzanne is not afraid to ask the challenging questions and take you outside of your comfort zone. She manages this element very carefully, however, to ensure that you feel supported throughout, despite the occasional feelings of discomfort. Following my sessions with Suzanne, I am now able to approach scenarios with more objectivity. My confidence has grown and I feel more equipped when dealing with challenges at work. I would have no hesitation in recommending Suzanne and will certainly make use of her services again in the future. She is the consummate professional, able to read people and situations quickly and accurately, which allows her to quickly focus on the areas which need addressing. My challenge was a lack of self-esteem and the confidence which I felt was required in order to further progress my career. My self-perception was disproportionate to how others saw me. I also felt I required guidance to support not only my career aspirations but also in my personal life as the two go hand in hand. My lack of confidence was making me doubt my capability and preventing me from entering certain situations as I would assume negative outcomes. I thoroughly enjoyed my sessions with Suzanne, nervous at first but comfortable to share information and open up about my feelings. Suzanne inspired me to map out my vision and explore the different situations and how I felt within them. She also promoted taking small steps and helping to believe you can work through them with confidence and pace. Suzanne challenged me but, I felt supported but what I appreciated the most were feeling confident to speak out and Suzanne’s calm and controlled manner, something I aspire to be more like! The results are still work in progress, my confidence has improved, I feel more comfortable to participate in various activities/situations. The main aspect I implemented was to take a step back, revisit my plan and spend five minutes each day thinking. By not being as re-active the outcome is most certainly more effective. 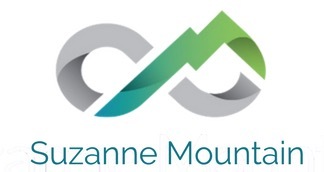 As part of a corporate Emerging Leader Program, Suzanne Mountain was appointed as my coach around 18 months ago. From day one, it was clear that Suzanne had a wealth of experience in this field; was going to challenge me to be accountable for my own development, but also genuinely wanted to guide and support along the way. Suzanne’s open and trustworthy manner has made it very easy for me, not only to talk freely about turning my own personal weaknesses but also about creating a clear structure to develop these areas and put me on the path to success in my ambitions. Suzanne has a natural ability to see the crux of a matter and always seeks to understand before making herself understood. She always brings a fresh perspective to a discussion that enables you to think differently and more positively. I very much enjoyed working with Suzanne and the invaluable guidance she has given me will continue to shape my thinking and make me a better leader for a long time to come. I was selected to participate in a global future leaders programme, having grown up in the company and always undertaken operational roles I was anxious that the requirement to think more strategically at a global group level would highlight my weaknesses. I felt anxious, excited and terrified! Having Suzanne as my coach helped me no end. As I was still very busy doing ‘the job’ when a requirement came out to complete as part of the programme Suzanne helped me stop, slow down and review my submissions. She’s questions made me give thought to what was being asked and ask myself if I really answered the request. Suzanne coached me through each stage assisting me to review my first draft (which would have been my final submission!) and held me accountable so that I really dedicated time and space to my own development and ultimately submit a response that I was proud of. Suzanne challenged me to see and remove my barriers and also to question myself as to why were my aspirations sat in my comfort zone and why I limit my own potential. Through Suzanne’s coaching, I developed the confidence to accept a stretch role within my organisation. I learnt that I had to dedicate time to my own development – that it wasn’t a selfish thing to do, it was needed to help my team, and my business and importantly ME!